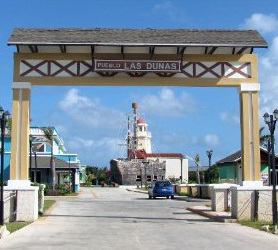 Pueblo Las Dunas Village and entertainment center is one of two village style malls on the adjacent island of Cayo Santa Maria just 9 km away from Cayo Ensenachos. Easy to get to on the hop-on hop-off 1 CUC bus, the distances from the Iberostar Ensenachos are so short that it takes less than 20 mins if the bus makes a few stops along the way. Prices are duty free, because they are represent excellent overall value, including the numerous food courts and bars incorporated into each village. Pueblo Las Dunas offers everything from camera Equipment to beach towels and everything in-between. Also impressive are the array of handicrafts on offer at the outside markets and stalls. At the Marcaribe Discotheque is where well-connected people go for a night out, as opposed to your resort disco. More of a true “back-home” type disco, there’s a perfect mix of local Cuban workers mingling with tourists from all of the resorts on Cayo Santa Maria. If you’re tired of seeing the same faces at your disco, head down to Marcaribe! All the other bars are all good and offer a little more lively fun than the typical all-inclusive bar you’ve become accustomed to while on vacation in Cayo Ensenachos. The El Mosquete Bar is a classically designed bar with a mezzanine deck inside, great people watching! Bar Bolera is a state of the art 6 lane bowling alley, with digital readouts and excellent bar with top level spirits along with international beers. There are two impressive restaurants; the first is the Galeon del Puerto or sometimes called the Barco del Pirata. It’s built inside a full-scale replica of a Spanish Galleon, right in the center of Pueblo Las Dunas. Galeon del Puerto serves all types of food from a simple burger to an excellent steak dinner. Drinks are also served all day and the décor, complete with seating stalls and, Galleon theme throughout, is a true delight. Then there’s the excellent seafood restaurant called the Isla de Tortuga or Tortoise Island, the breaded prawns here are simply fantastic, as is the Lobster or surf and turf special. If you need a battery for your camera, to print some photos for friends or some emergency photo equipment then the El Fortin Store will probably have it. They’ll also digitize photos for you and transfer images to a pen drive (they sell these), if you’ve run out of disk space. The El Ponton store, just next door to the above, is a general goods store offering everything from souvenirs to clothing, soft drinks and knickknacks you may need. They also have the all-important mosquito repellent, sunscreen towels and beachwear. Outside in the plaza there are a myriad of market stands selling genuine Cuban handmade items (NOT Chinese rubbish). Many of the store owners are the artisans who actually make the items on sale, a real pleasure to see the variety of items and colorful offerings. Yes, there’s a Spa and wellness center at Pueblo Las Dunas and, it’s very good indeed. Of course, as you already have a Spa at the Iberostar Ensenachos you may wish to skip this paragraph, but for those who don’t, this is an excellent alternative and nice day away from your hotel for some pampering. Conveniently located at the entrance of Pueblo Las Dunas, right between the hotels Melia Cayo Santa Maria and Melia Las Dunas, the “Yhi” name is Melia’s own and the name it uses internationally for all its hotel spas. The Yhi Spa Aguas Claras offers an impressive selection of treatments that will soothe mind, body and soul, as well as a broad hydrothermal circuit and numerous relaxation areas. The Aguas Claras Yhi Spa building is also home to the Yhi Beauty Salon. The name “Yhi” is derived from the name of the goddess of light in Australian Aboriginal Karraur mythology. 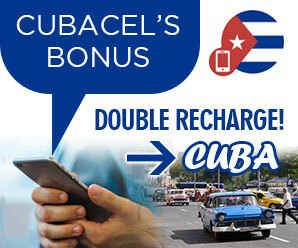 « Where is Cayo Ensenachos? Cayo Ensenachos – Live Help?